BQ - 615 PRO Colorful LED Lights Wireless Bluetooth 3.0 HIFI Stereo Speaker Support NFC Microphone F.. 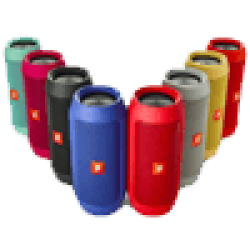 Original Xiaomi Speaker Hands-Free Bluetooth 4.2 Loudspeaker Bluetooth Wireless Soundbox 1200mAh Lou..
Main Features ● Artificial intelligent speaker that can listen and speak ● .. Original Xiaomi Mi Bluetooth 4.0 Speakers Wireless Audio Player Support Hands-free Phone Call D..
Xiaomi Square Box Bluetooth Speaker 2High-definition sound quality | lightweight portable | Bluetoot..
Xiaomi Bar Shaped Bluetooth Speaker Xiaomi rectangle shaped Bluetooth speaker is a high-p..